My children enjoy a friendly competition and literally beg me to play their favorite games all the time. 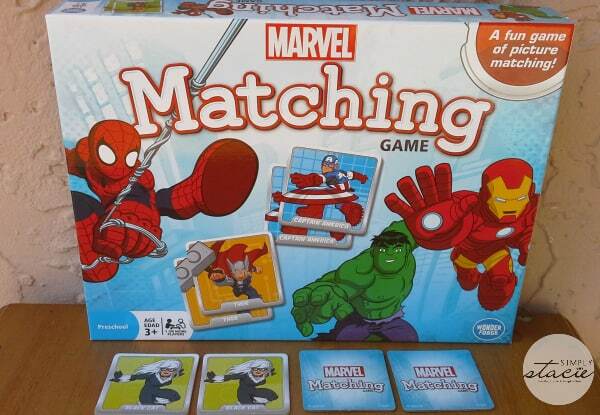 Much to their delight, they have recently been enjoying playing the latest matching games released from Wonder Forge which features their favorite characters from the Marvel Super Heroes and from the hit Disney movie, Frozen. 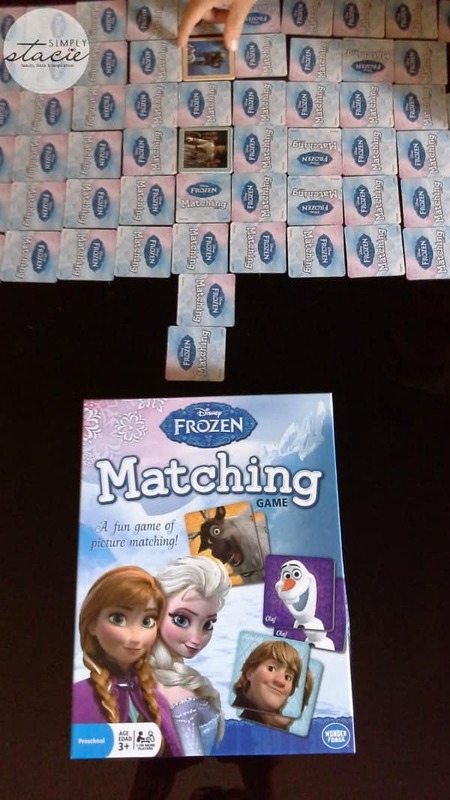 Recommended for children ages 3 and up and still adored by my six and seven year old children……matching games are a great way to promote concentration, following directions and good sportsmanship. My daughter’s favorite movie is Frozen so I knew that she would love playing this game and it didn’t disappoint as she wants to play all the time. The Disney Princess Frozen Matching Game includes 72 picture tiles with lots of exciting scenes depicting characters from the movie such as Anna and Elsa, Olaf (my personal favorite from the movie), Kirstoff, Sven and many more. The picture tile images are colorful and appealing so it makes them want to play again and again. I love that matching games are simple enough for younger children and yet fun for even older kids to play so I don’t need to supervise. My kids are learning how to play games independently without fighting and this is a great way to practice. You are invited to visit Wonder Forge to learn more about both of these great games which would be perfect for game play over the summer break. You can also find one of the many retail locations near you or purchase online at Amazon.com. My grandson would like the Mickey Mouse Club House Surprise Slides Game. The Enchanted Cupcake Party Game looks cute. My niece would love the princess 3-d dominoes game as well! hi, the Disney ‘Eye Found It’ game would be my choice…searching for all disney characters! my son would really enjoy the busytown eye found it game!! My son would love the batman face off dice game! My girls would like to play the Dazzling Princess game. My children would love to play the Enchanted Cupcake Party Game. My daughter would like the enchanted cupcake game. thanks for hosting! I love the Enchanted Cupcake Party Game! The enchanted cupcake party game looks cute! My daughters would absolutely love the enchanted cupcake game! Eye Found It! Game sounds fun. I really like the Eye Found It!™ Game. I would also like the Enchanted Cupcake Party Game. Enchanted cupcake party looks fun, my daughter would love it.